The gallery is one of the most prominent contemporary art venues in Copenhagen, located in the Islands Brygge area. The client wished to divide the gallery into two separate rooms and functions: storage/show room, and gallery space. New divisions and wall surface treatments were required, as well as creating a new administration area. One of the main elements of the proposal was a movable double bladed door (instead of a “wall and standard door” solution). 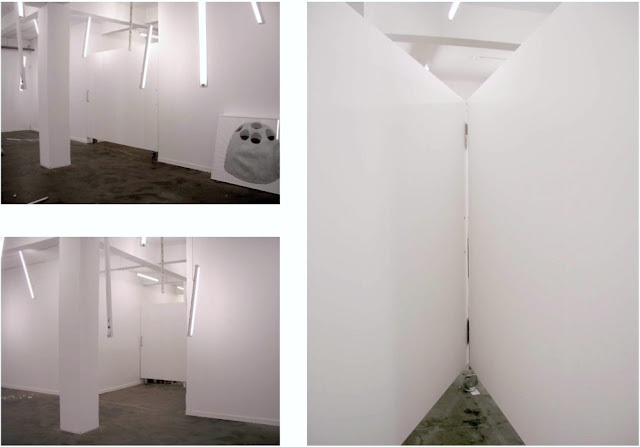 This 3 meter by 2,4 meter door, ritualizes the event of inviting potential buyers into the show room and art storage area, while offering an extra 9m2 of exhibit space to the gallery if deemed necessary. 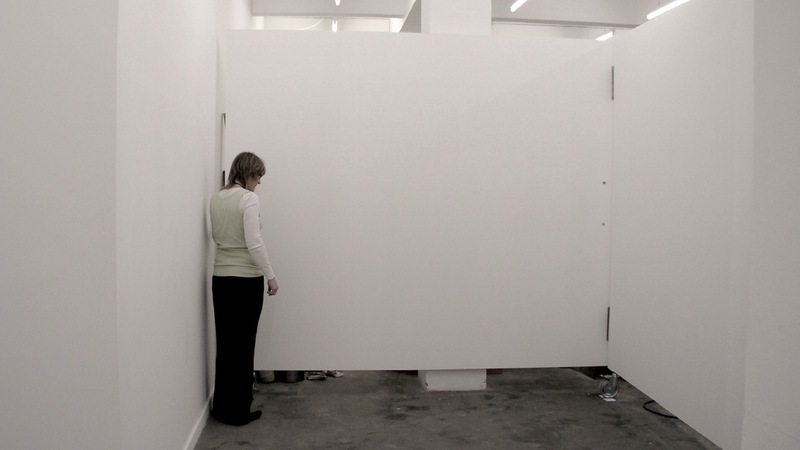 The playfulness of the door element, allows a free interaction between user and space, as well as offering new possibilities for artists who work with site specific projects. THE STUDIO exhibits at the 13th Venice Biennale of Architecture, at the Danish Pavilion. Opening the 27th of August. THE STUDIO at the CCA's "IMPERFECT HEALTH" exhibition. From October 25, 2011 to April 1, 2012. HLA & DAVID GARCIA STUDIO are one of the four teams which have been selected to represent the Danish Pavillion at the Architecture Venice Biennale in 2012. Theme of study: FUTURE GREENLAND. DAVID GARCIA STUDIO invited to exhibit at the Canadian Center of Architecture for the "Imperfect Health" exhibit, Opening October 25th, 2011. THE STUDIO to exhibit at the International Architecture Festival in Barcelona EME3,at the CCCB, June 30, 2011. DAVID GARCIA STUDIO to exhibit at the International Architecture Festival in Barcelona EME3,at the CCCB, June 30, 2011. DAVID GARCIA STUDIO published in GUESTALTEN’s “UTOPIA FOREVER” publication out this APRIL. DAVID GARCIA invited to lecture at VILNIUS NATIONAL ART GALLERY, Architecture lecture series, April 21, 2011. WEAVING PAVILION IN BEIJING The Weaving Pavilion for the NOTCH 10 cultural festival in downtown Beijing is now built. See the latest images. THE STUDIO AT THE CENTRE FOR ARCHITECTURE, NEW YORK The Studio's Manhattan-Bronx high bridge project will be published and exhibited at the The Centre for Architecture in New York, opening on the 11th of November.